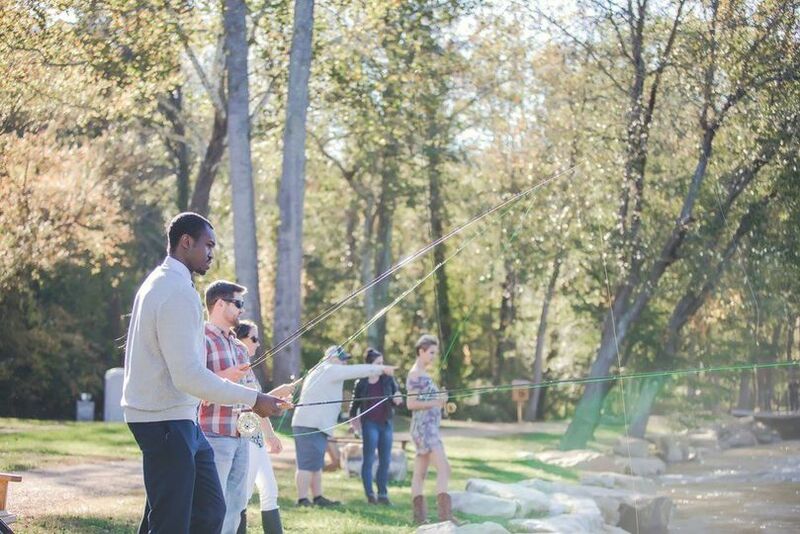 Olivette's Rosebay Park is 7 beautiful acres on the banks of the French Broad River. 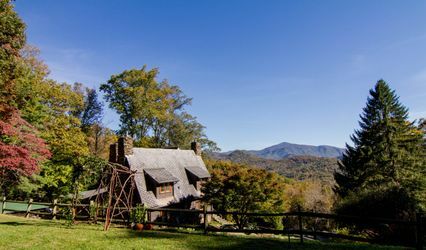 Located 15 minutes from downtown Asheville, the park features an outdoor pavilion with a lovely stone fireplace, a large yard, a fire pit amphitheater and a private island with a wedding circle and labyrinth. A perfect location to make any bride's wedding dreams come true. Outdoor Facilities: Beautiful yard with sitting wall can hold up to a 50 x 100 tent (250 people) or be used for yard games. Private island features wedding circle with Arbor for a ceremony and a labyrinth. 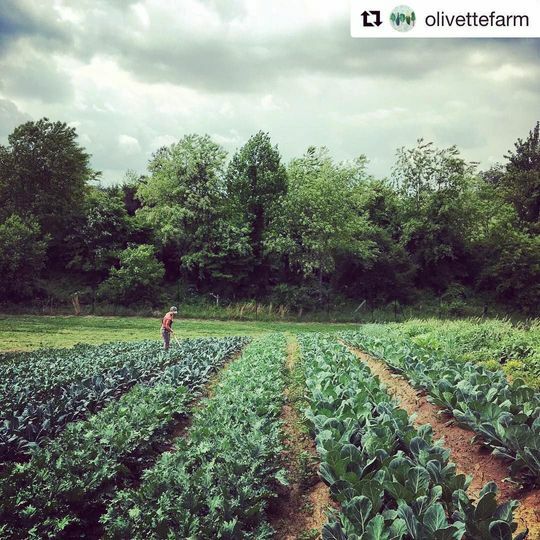 Olivette also has several other photo opportunities including mountain views, bridges, streams and a working farm. This place is more then amazing! 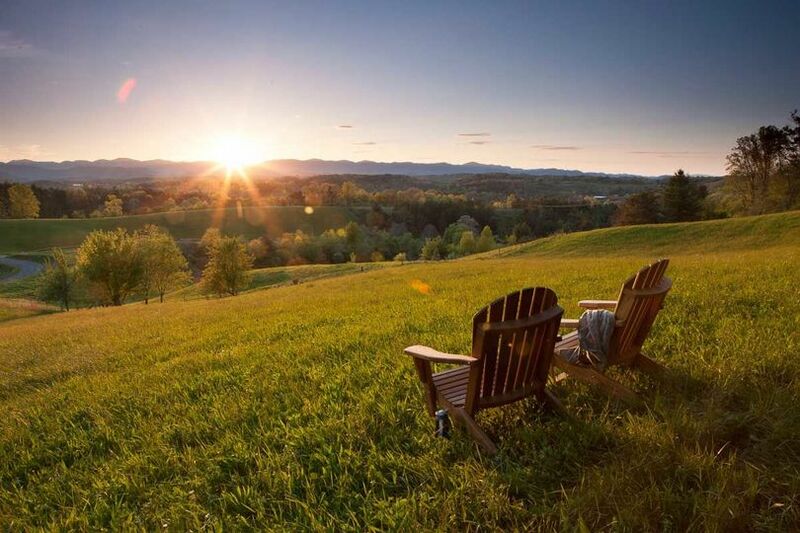 I grew up here in Asheville and I wanted a venue that made me fell like home and this venue delivered. 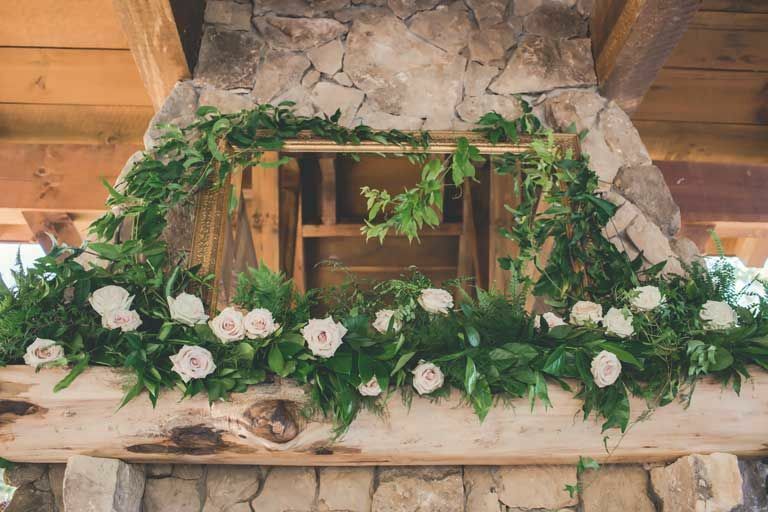 It was very cold the day we got married but the amazing outside fireplace made it so much better! Everyone went above and beyond to make our day amazing! I highly recommend Olivette! 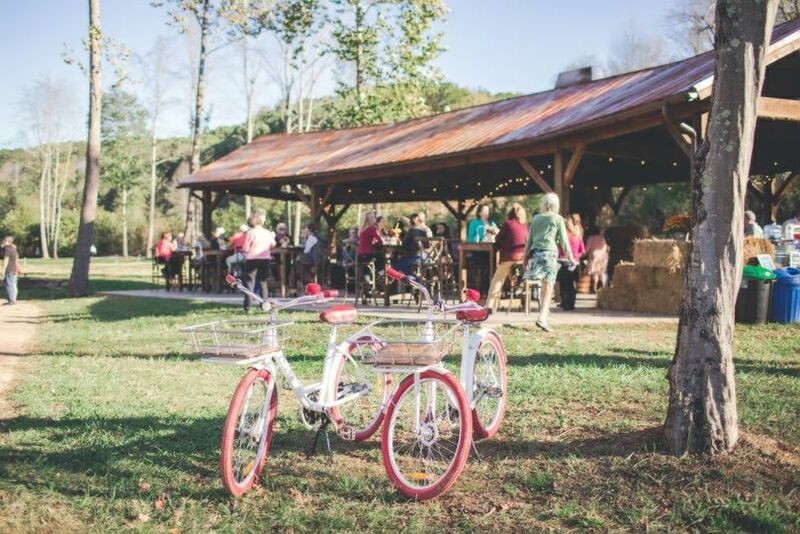 Olivette was an amazing wedding venue. I can not say enough positive things. 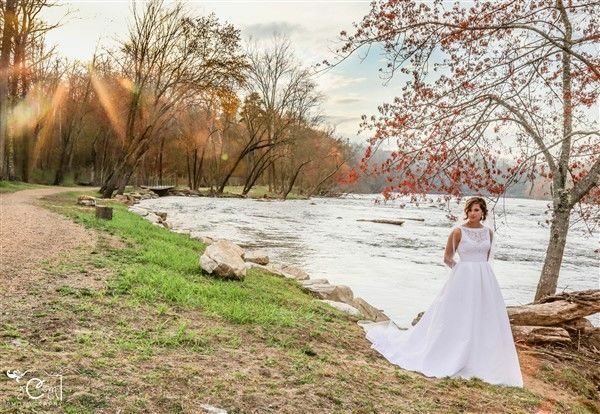 It is a beautiful space on the French Broad river to get married. They are easy to communicate with and really worked hard to make our day perfect. We had a ridiculous rainstorm right after our ceremony, the staff made sure the water was pushed off of the pavilion floor to maintain safety. Everyone was soaking wet but continued worked so hard (with smiles) to make sure the evening was perfect. THANK YOU!!!!!!! 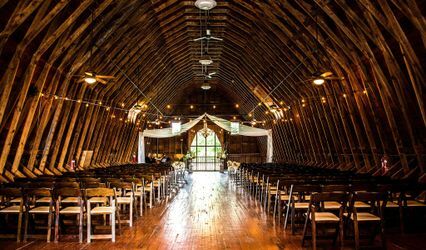 We had a ceremony/reception at Olivette in August 2017, and it was the perfect location. 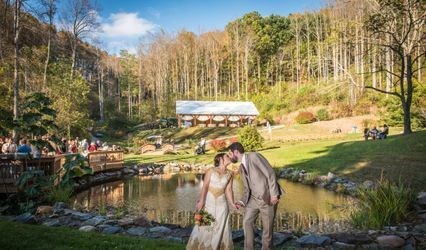 Our guests couldn’t stop commenting on the beauty of the park, the ceremony circle, the stone labyrinth, the firepit, and the river, and our photographer said “even my grandmother could take amazing pictures here.” Children at our wedding loved running around and exploring nature. We rented a wireless PA system from Olivette for our ceremony, which worked very well. As with any outdoor venue, weather is never guaranteed; we ended up renting a last-minute tent, which was quite expensive. But we’re glad we did-- it poured right as our ceremony was about to begin, and although the pavilion sheltered us until the skies cleared, it would not have been anywhere near large enough for 120 people to eat under. Because of the rain, the river was a bit high during our wedding, but several adult guests took advantage of that opportunity to go for a swim. It’s a rustic location; cell service is a bit spotty en route so we provided guests with printed driving directions (phones/GPS would take them into the construction entrance). 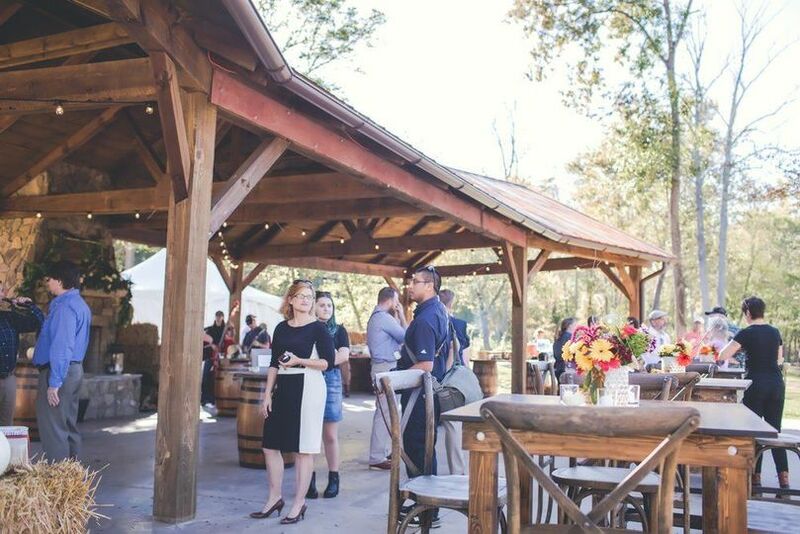 There’s no running water (aside from the river) which was a factor with some of the caterers we considered, and we also had to rent or ask vendors to provide several additional generators for our caterer, DJ, and tent lighting. Our guests didn’t mind the portable restrooms (they’re nicer than your standard port-a-potty, but they still don’t flush) or the walk from the parking area (we paid for Olivette’s golf cart service to assist those who didn’t want to or couldn’t walk), and in fact it added to the atmosphere for our picnic-themed wedding. 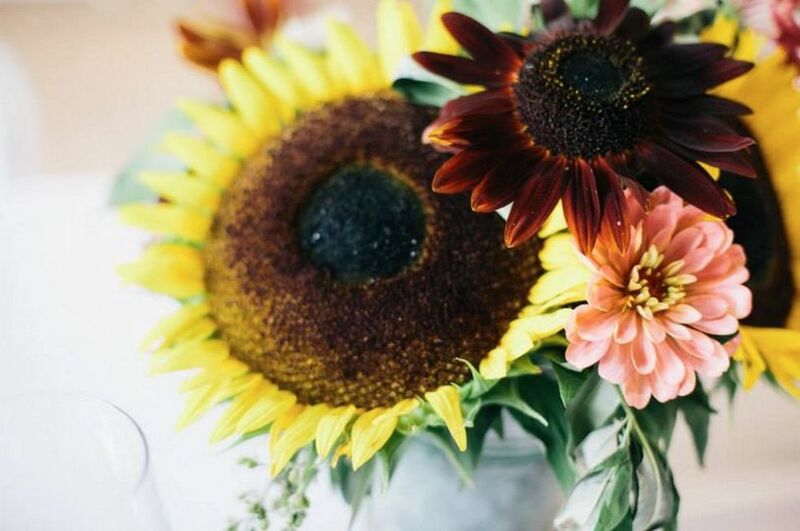 Arica was great to work with, very responsive to emails, and let us make several additional visits after booking so we could scope out the site and design our decor, timeline, and layout accordingly. Olivette had super helpful staff on site during the entire ceremony/reception.